LeBlanc will earn a base salary of $2.75 million in 2019 with incentives that could push that number to $4.75 million. The deal also includes club options valued at $5 million per year for 2020, 2021 and 2022. Another soft-tossing lefty vagabond has found a home in Seattle. 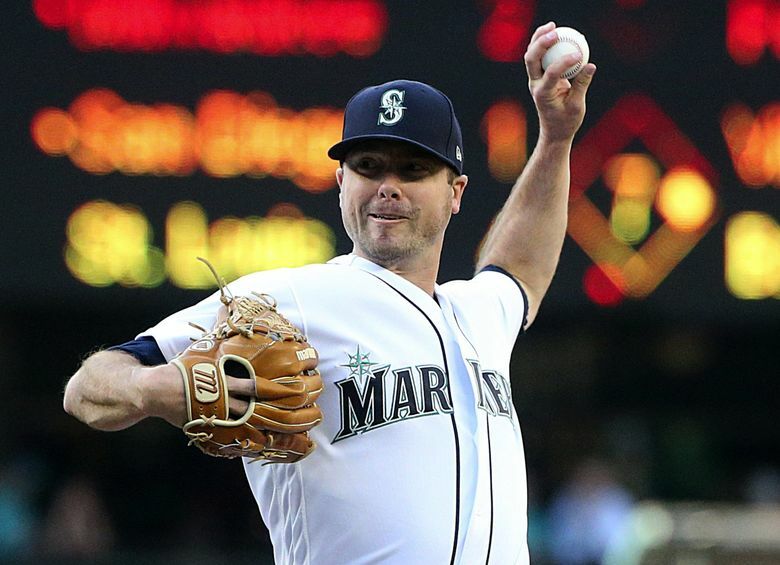 Wade LeBlanc has roamed the baseball landscape, searching for success and stability. It’s a journey that has included stints with seven different organizations in Major League Baseball (including two tenures with the Mariners), multiple turns for two Class AAA teams no longer in existence — the Portland Beavers and Tucson Sidewinders — and even a season in Japan. But the wandering has stopped for now. On Tuesday afternoon, a few hours before LeBlanc took to the mound at Safeco Field for his scheduled start against the Angels, the Mariners announced that they had signed LeBlanc to a one-year contract extension. He’ll earn a base salary of $2.75 million in 2019 with incentives based on innings pitched that could push the deal to $4.75 million. The deal also includes club options valued at $5 million per year for 2020, 2021 and 2022. There’s a $450,000 buyout from the options. LeBlanc, who turns 34 on Aug. 7, came into Tuesday with a 3-0 record and a 3.38 ERA (27 earned runs, 72.0 innings pitched ) in 11 starts and five relief appearances this season. He’s limited opponents to a .258 (72 for 279) average, while walking 15 and striking out 56. Since moving to the starting rotation on May 3rd, LeBlanc is 3-0 with a 3.09 ERA (20 earned runs, 58 1/3 innings pitched). As a Mariner, LeBlanc is 6-0 with a 3.84 ERA (52 ER, 122.0 IP) in 27 games, including going 6-0 with a 3.67 ERA (42 earned, 103 innings pitched) in 19 starts. Dipoto evoked a name many people have associated with LeBlanc’s recent success late in his career and his mid 80s fastball — Jamie Moyer. Moyer’s success in Seattle was certainly longer and more sustained. He pitched for 11 seasons in Seattle, compiling a 145-87 record with a 3.97 ERA. But the Mariners believe LeBlanc has gotten better each season and that will continue. The addition of a cut fastball a few years ago and the refinement of the pitch has loomed key to his success. More importantly, LeBlanc understands who he is as a pitcher and what he needs to do have success. That mentality and his professional approach to preparation is something the Mariners value. LeBlanc’s extension means the current starting rotation is under contract for 2019. Dipoto said LeBlanc’s extension won’t limit the team from acquiring additional pitching at the trade deadline.